Hello lovelies! This week there was not much physical progress with our renovation but a lot of the big decisions were nailed down! 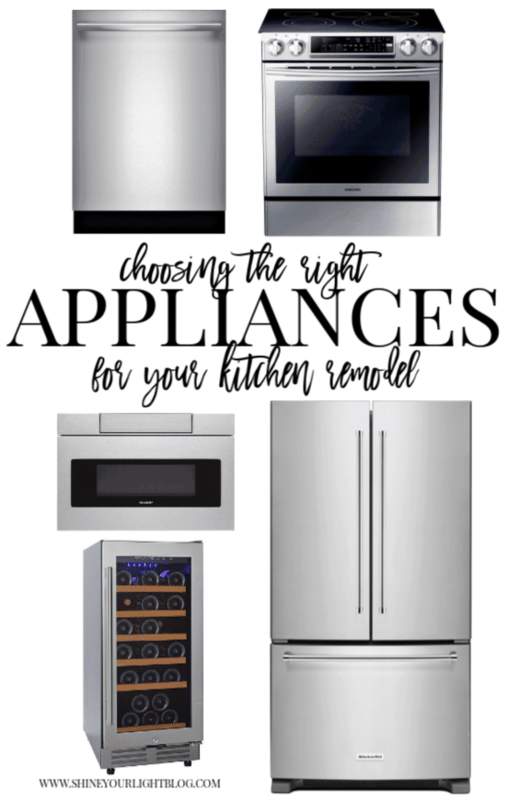 Today I’m sharing all our appliance choices and some tips for finding the best deals when buying big ticket items. I’ve mentioned that we had to find a way to make a kitchen renovation work with our two-kids-in-college budget, and majorly scale it down from our original plans that were estimated at between $100-120K (welcome to Massachusetts!) One of the major places to curtail the expenses for a kitchen remodel is in the appliances, but I truly believe that doesn’t mean you have to sacrifice functionality! This is our fourth house that we’ve owned together through the years (Mark’s fifth) and we’ve bought plenty of mid-range and a few high-end appliances along the way. Mark and I both love to cook, as do many of our friends and family, and the topic of “Is it really worth it?” comes up frequently. 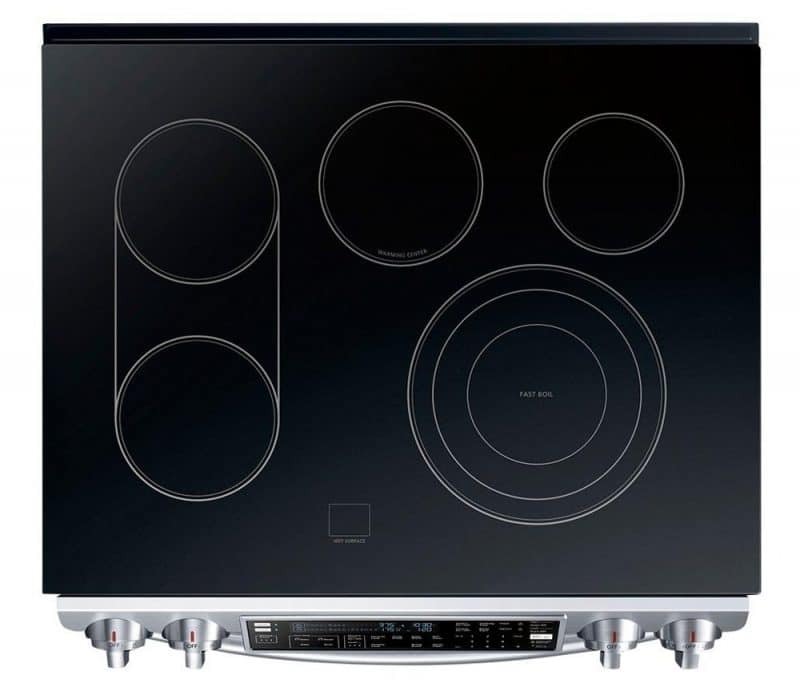 We love the quality, design and some of the features offered by top of the line appliances like Sub-Zero, Wolf, Viking, Thermador, Miele, Liebherr, Bertazonni, Blue Star, Gaggenau and La Cornue (just ask Mark how long it would take to bring a pot of water to a boil on the Viking induction cooktop we put in our last house), but all of these brands come with a hefty price tag and at the end of the day, the biggest concern for us is really RELIABILITY. I’m sure there are many of you that can attest to the fact that just because you spend a lot on an appliance does not ensure it will be headache-free. #1 factor. Buy what you can afford! This is such a controversial topic and truly depends on where you live. In our experience, after buying and selling a few houses that we added upgrades to, I just don’t think installing really high end appliances is THAT important. If you live in a luxury community where they are standard, and will be expected by future buyers, then they are a wise purchase. 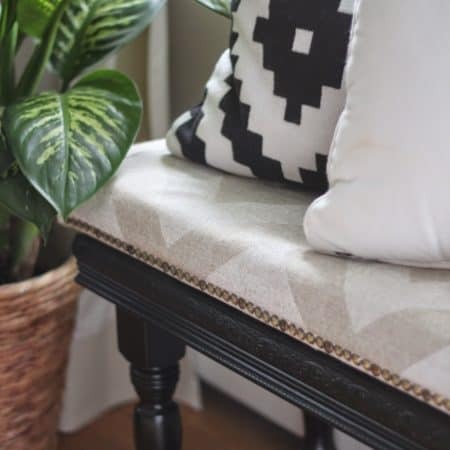 Otherwise, from what we’ve seen, new high end appliances are a great marketing pitch for realtors and might help you sell your house more quickly, but you’re not guaranteed a return on your investment. What is most important to you in a fridge, for example – an ice maker? A water dispenser on the door? This is hugely important to me!! I would rather have less features and more reliability in an appliance any day of the week. Check out this appliance company’s blog for their stats on sales and repair rates on affordable, mid-range and high-end appliances. Read reviews to get a general sense of how well liked a product is, but take them with a grain of salt because many people only write reviews when they have had a bad experience. Ask your friends and family how they like their new appliances and what they would do differently if they had it to do over again. Everyone is different but again, this will give you a good idea of what to look for and to avoid. If you love to cook and have always dreamed of a gorgeous and amazing range that you saw at a B&B in France, then go for it. If you despise cooking and just need a place to reheat your nightly take-out then maybe consider more basic appliances. Taking all the above into consideration, we decided to go for the most part with mid-price-ranged appliances that meet all our needs and keep our budget in control. This is not a sponsored post but as always, sponsored or not, I value you and always vow to give you my honest opinion! This post does include affiliate links and you can read more about affiliate links here. We actually bought this Samsung slide-in range two Thanksgivings ago when our old one died 5 days before we were hosting the holiday. We hadn’t decided what we were going to do with our kitchen renovation yet and were kind of bummed that we were under the gun to buy a stove. In the end we chose this one that has the controls on the front and looks more built-in. We opted out of double wall ovens when we scaled-back the kitchen reno, so this range is a great alternative – it has a removable divider and can be used as one large oven or two smaller ovens set at different temperatures. We also liked that the bottom drawer that we store our roasting pans in doubles as a warming drawer. It takes a while to pre-heat, but the oven temperatures are reliable and the double oven ability is clutch for the holidays – when separated, the bottom oven can hold two racks worth of dishes, or a beef tenderloin roast or turkey breast in a roasting pan, and the top oven can hold two 9×13″ Pyrex dishes. Two of the elements on the cooktop can be used together for a griddle, and we also like the warming center element, especially at the holidays when we have a lot of pots going at once. We’re only 1.5 years in but so far, thumbs up on this range – it’s not a Wolf or a Bertazzoni but we’re still able to whip up some pretty good eats with this baby! We’ve also already replaced the old dishwasher. This is our third Bosch dishwasher that we’ve owned through the years and we have never had one problem with any of them. This newest version has a third rack on the very top that you can place flat utensils, silverware, or Tupperware lids on – however I removed the rack because our wine glasses don’t fit with it in, and you know, #priorities. This dishwasher is SUPER quiet – I can barely hear it when I am at the kitchen sink – and the only way I know it’s on is by the red light that shines on the floor when it’s running. I also like the hidden controls and pretty handle on this model. It’s pricey but worth it because it’s RELIABLE and lasts through the years. I highly recommend buying a dishwasher with a stainless steel drum which resists corrosion and absorbs noise better than the plastic versions. This fridge comes in a few other versions with more bells and whistles but I think this one is great. I love it’s slim profile and the handles! I have actually yet to order this because I’m waiting for Presidents Day sales. I keep checking and it’s still in stock at a few big box stores so I’m feeling pretty confident I can order it within weeks of the new kitchen being installed. Counter depth was huge for us since our current fridge is a beast that takes up a lot of visual space. For the most part our new kitchen will have the same layout as the existing one, but the microwave over the stove will be replaced with a hood that vents outside (hallelujah!) and the microwave will be located next to the fridge. 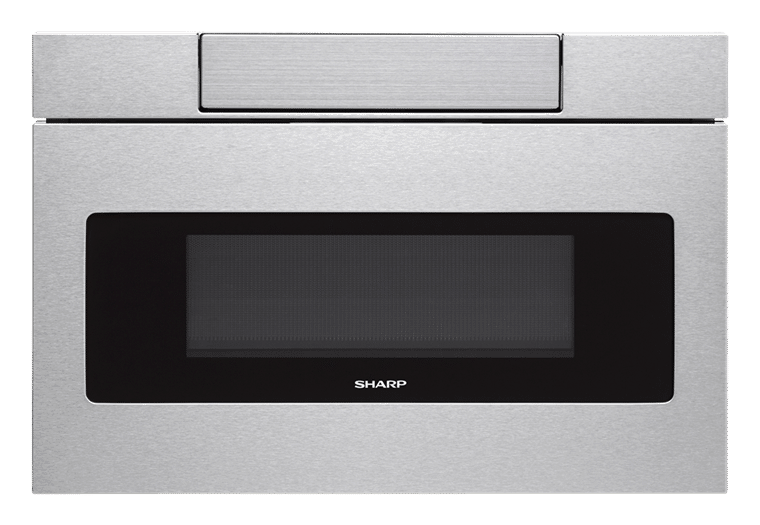 Everyone I know that has this microwave loves it for functionality and reliability, and I like how this model is so streamlined and the controls are hidden. This is the best price I could find on it, substantially lower than other vendors. A CUTE LITTLE WINE FRIDGE! Wine is proof that God loves us and wants us to be happy! Suffice it to say that the wine fridge was back in the budget with this divine intervention. 🙂 By removing part of the wall between our kitchen and dining room we gained a bit more room for cabinetry so I was able to fit in this 15″ built-in 30 bottle fridge, replacing the stand-alone wine fridge we have in our basement. 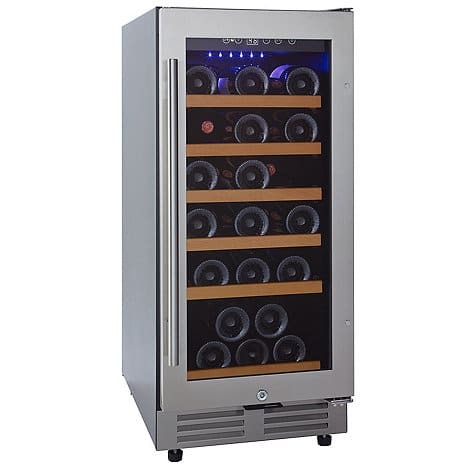 Although a lot of wine refrigerators come with dual temperatures for white and red wine, after reading this snippet about the optimal storing temperature for both reds and whites being 53-57° I went with the single temperature (and less expensive) model. 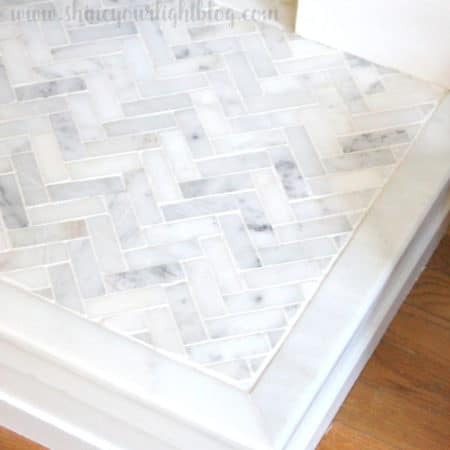 I’ll store seltzer in here too to make it really functional for entertaining. Start your appliance search months in advance if possible, and zero in on what models you really like. What would we do without the internet, I ask you??? In seconds we can see who has the lowest price on a certain model, who is offering free shipping, who has free installation, who will haul away your old appliance. Presidents Day, Memorial Day, Labor Day, Columbus Day, Thanksgiving weekend (Black Friday, Cyber Monday), and tax free weekends are sprinkled all throughout the year. The sales for these weekends usually start rolling out the week before. Look for deals in September and October. New models for the next year start to come out in early fall, so this year’s models start to go on sale. Many brands offer rebates. Also, look for appliance bundling. 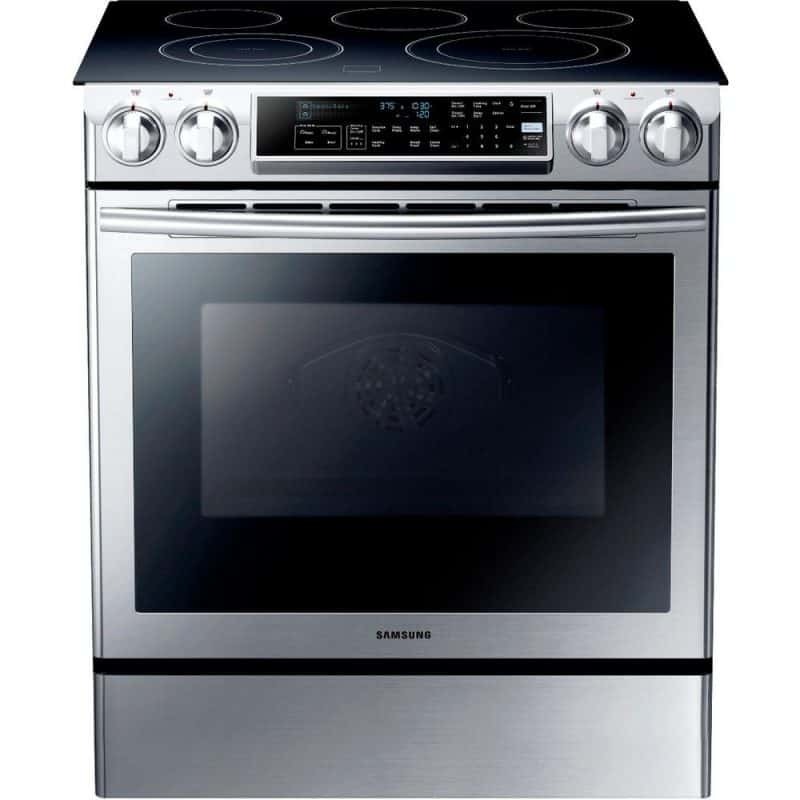 As you can see above all of our appliances are from different brands, but often you can get a rebate or discount if you buy more than one appliance from the same company. If the appliances you’re replacing are old and not energy efficient your state may offer a rebate for replacing them. Many appliance stores will take away your old appliances when they deliver a new one (usually for a fee) but first check to see what rebates you can find. Massachusetts has a program called Mass Save that offers energy saving residential rebates and incentives. Because the fridge we’re replacing is 20 years old and not energy efficient, we are eligible for the fridge to be picked up right from our kitchen AND for a $75 rebate! That sure beats paying an appliance company to take it away, doesn’t it? I’m guessing these kinds of energy incentives exist throughout the country so be sure to look into it if you’re remodeling! Now that the big appliance decisions are squared away I’ve moved onto mulling over sink and faucet options, deciding between two countertops I am head over heels in love with, and picking backsplash tile! It’s been so much fun to design and implement my vision for this space after all these years of saving and waiting for the right time to do it, and I’m looking forward to sharing more as it starts to come together!! Thank you for your enthusiasm, ideas, opinions and well wishes and I hope you have a wonderful weekend ahead sweet friends! Great tips, Lisa! How wonderful that you were able to discover some money for your wine fridge! It was meant to be! Thanks Lynne! The wine fridge fund was kind of funny – it really was meant to be :). So exciting!!! How cool that you were able to sneak in a wine fridge!! Yes the little wine fridge is a fun addition that will get a lot of use around here! We purchased that exact Kitchen Aid refrigerator and we love it…we didn’t want the outside ice/water dispenser and it is so much neater and cleaner. We went full Kitchen Aid but only because we got a great price bundled. Bosch was actually my first choice on the dishwasher but the Kitchen Aid is surprisingly quiet and efficient. 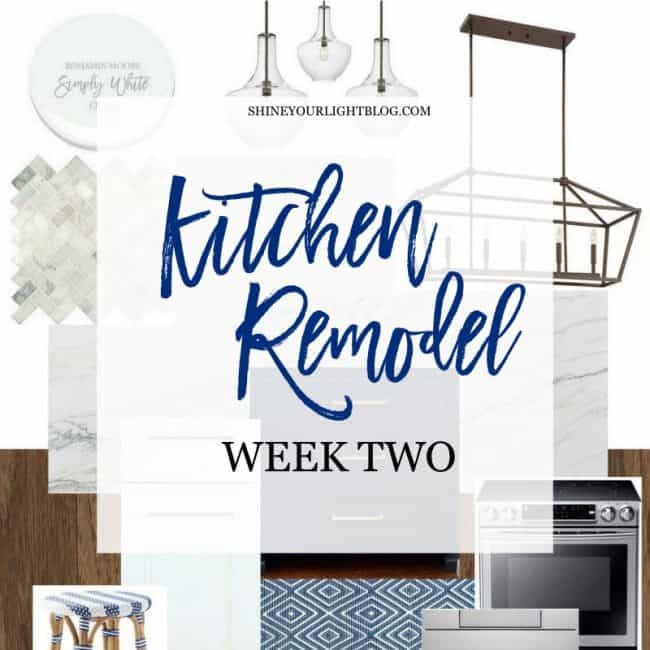 Enjoy your upcoming new kitchen! Our renovation is 1.5 years old and we are still in awe of the transformation. Deborah thanks so much for commenting about your Kitchen Aid! So glad to hear that it’s worked out well for you! I wish we were able to wait until now to replace some of our appliances so we could have taken advantage of all these bundle deals but alas, our stove and dishwasher both died in the last year or two.